Some novels have the ability to draw you in from the start. A single line or paragraph can grab your attention in such a way that the novel just demands to be read. Opening Lines is a new feature where I'll share some of the best opening lines that hooked me. To kick things off here's an absolute classic (although it might not translate as well to a more modern audience). The book trailer for Lauren Beukes' Broken Monsters is fantastically creepy. 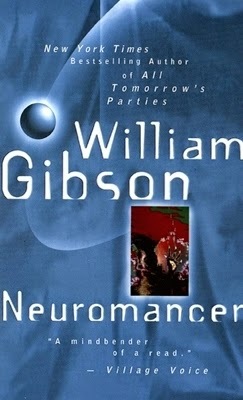 It manages to capture both the imagery and general feel of the novel brilliantly. Broken Monsters Book Trailer from Marc Sidelsky on Vimeo. 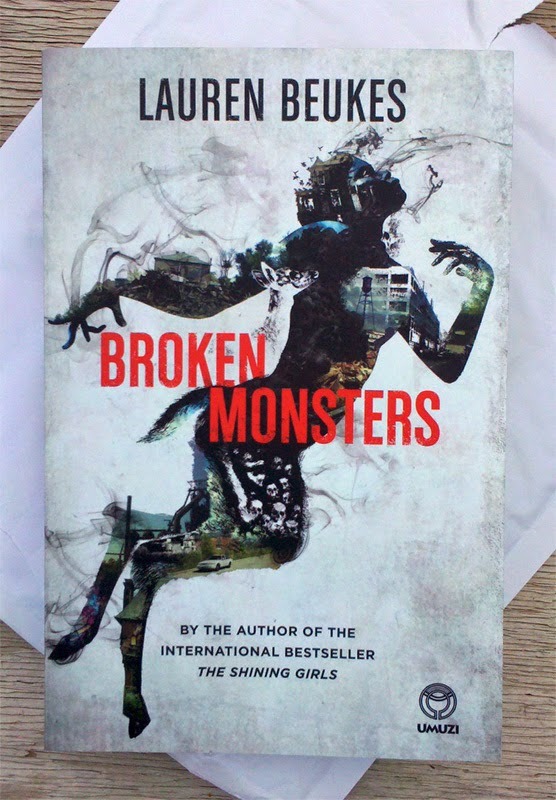 Broken Monsters is one of the must-read novels of 2014. Read it. It might leave you a little bruised and dazed, but you won't be disappointed! 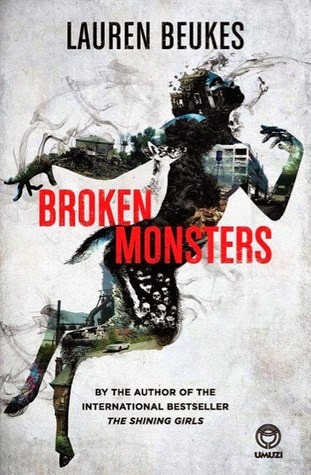 Read my review of Broken Monsters. The history of science fiction is a topic I've been meaning to do some posts about, but all the research and writing involved in doing a decent job turned out to be a bit too daunting. Luckily the immensely talented Elizabeth has done a brilliant video series on the topic. It has costumes, hilarious wit and is far more informative and entertaining than anything I could come up. Did I mention the many, many costumes? So for your viewing pleasure here's the entire series embedded below. Be sure to check out Elizabeth's other videos. They are just as great and demand to be seen! Informative and entertaining. What more could you ask for? I think she deserves huge kudos (and more viewers) for a job well done! IN A BROKEN CITY, A DISTURBED KILLER IS TRYING TO REMAKE THE WORLD IN HIS IMAGE. Detective Gabriella Versado has seen a lot of bodies. But this one is unique even by Detroit’s standards: half-boy, half-deer, somehow fused together. And it’s only the first. As winter closes in on Detroit, strange and disturbing corpses start turning up in unusual places, pulling several lives into the killer’s orbit. Gabi has to juggle the most harrowing case of her career with being a single mom to her troubled teen daughter Layla. Layla, egged on by her best friend Cas, is playing a dangerous game with an online predator. Broken Monsters is a dark and gripping thriller about the death of the American Dream, online fame, creativity, compromise and the undercurrents of the world we live in right now. I finished reading Broken Monsters at a quarter to midnight and it resulted in my first ever book induced insomnia. I tossed and turned till 3am before I finally managed to fall asleep. Although Broken Monsters has enough macabre visuals to creep anyone out (especially those with vivid imaginations) it wasn’t due to nightmares. I just couldn’t let the story go. What does it mean? Why? How? There were so many things to dissect, to contemplate and to try to comprehend. Broken Monsters broke my brain in the best possible way. I dreamed about a boy with springs for feet so he could jump high. So high I couldn't catch him. But I did catch him. But then he wouldn't get up again. I tried so hard. I got him new feet. I made him something beautiful. More beautiful than you could imagine. But he wouldn't get up. And the door wouldn't open. In its most basic form Broken Monsters can be seen as a supernatural thriller with a dash of horror and a dollop of police procedural thrown in. It’s a captivating read that draws you into the manhunt for a serial killer with a penchant for mutilating and publicly exhibiting his victims. A perfectly enjoyable, if seemingly unremarkable read. But Broken Monsters offers so much more if you delve beyond the surface layers to expose the complexity within. The pages are filled with metaphors, and deals with a myriad of issues like creativity, originality, the pervasive and persistent nature of social media, the search for fame, cyber bullying, sexual abuse... Issues we all face in our daily lives in one form or another. Unlike The Shining Girls, Broken Monsters plays out in modern times. The Internet and social media play an integral role in the story. Pop culture references, YouTube comments, Tweets and Reddit threads are used to great effect in helping the story unfold in a realistic way. Beukes’ observations on life in the Internet age are extremely apt. I found myself nodding in agreement more often than not. The cast of characters are engaging and well-crafted, each broken in their own unique way. The story revolves around the cynical Detective Gabi Versado and her teenage daughter Layla, but there’s also TK, a homeless man trying to atone for his past; Jonno, a journalist who is desperate to make a name for himself and the Detroit Monster, a killer unlike any other. You can't help but empathise with the characters; even the killer is deserving of pity, if not compassion. Initially it’s difficult to see how these disparate storylines would come together, but Beukes manages to deftly weave them into a breathtaking, surreal finale that both satisfies and dumbfounds. What makes Broken Monsters unique is how the supernatural seeps into the world of the real. How the empty, abandoned spaces of Detroit play host to something otherworldy that crosses the boundaries of the real and unreal. A dream made flesh crafting flesh into dreams. It’s difficult to explain without going into spoilers. I might have said too much already... You’ll just have to experience this one for yourself. Broken Monsters is a dark, insomnia inducing thriller that will have you dwelling on its meaning for days afterward. Interwoven in the narrative is a complex and thought-provoking look at life in the internet age and how social media impacts our humanity. All of this is portrayed in Beukes’ distinctive genre-defying style. This is set to become one of those divisive novels; some people will love it, others will loathe it. I loved it and I’m still dazed by the entire experience. Highly recommended! What is up with the thing with the chairs? That still boggles my mind. Infection is the answer to the chair conundrum! Only took a month to figure out, but a single line of dialogue later in the novel held the key. 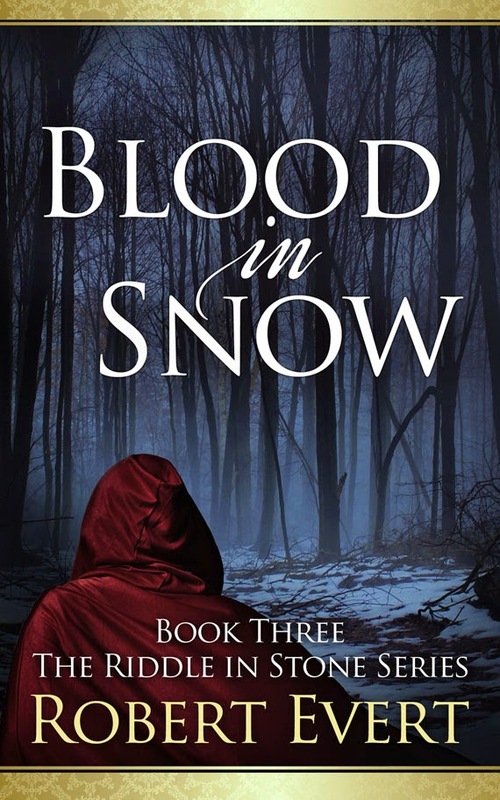 To celebrate the release of the final novel in the Riddle in Stone Saga, Blood in Snow, Diversion Books are giving away an ebook bundle of all three titles in the series. 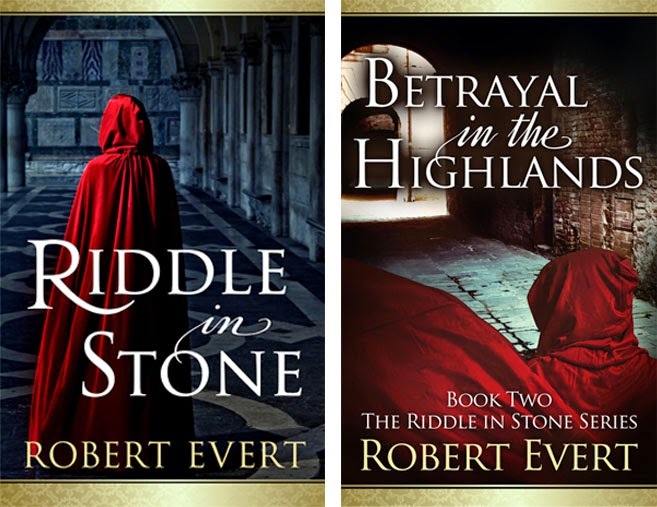 The final installment in the epic Riddle in Stone saga. Having committed treason by claiming the Highlands for his own kingdom, Edmund—the one-eyed, stuttering former librarian—decides to stop running and make his final stand. Along with his best friend, Pond Scum, and his manic dog, Becky, he must fight off goblins, magic users, and King Lionel's entire army in order to protect what he loves. However, his deadliest adversary is the approaching winter, and neither Edmund nor his men have the supplies they need to survive. By day, Robert Evert is an ordinary university professor bent on stamping out ignorance and apathy wherever they may rear their ugly heads. By night, and during various faculty meetings, he is an aspiring fantasy writer. Living in northeast Ohio with his wife, two sons, dog, four cats, and a host of imaginary friends, Robert enjoys teaching, yoga, hiking, and writing. You may learn more about Robert Evert at http://robertevert.blogspot.com/ where he discusses being a neurotic writer. Riddle in Stone is his first novel. The competition is now closed. Congrats Johann! 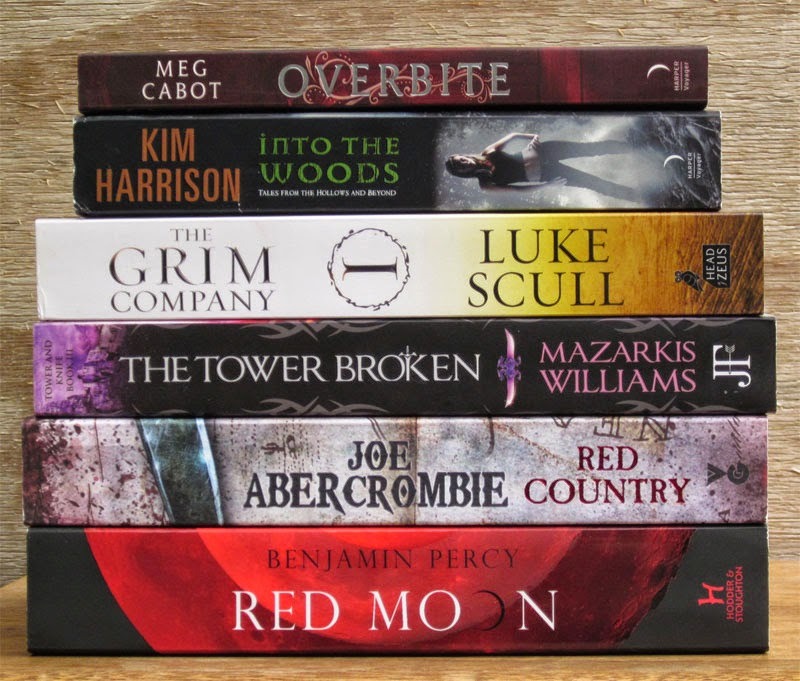 Someone from Diversion Books will be in contact shortly to arrange delivery of your prize. Normally I wouldn't do a new arrival post for a single book, but this is so squee-worthy it demands a post of its very own. 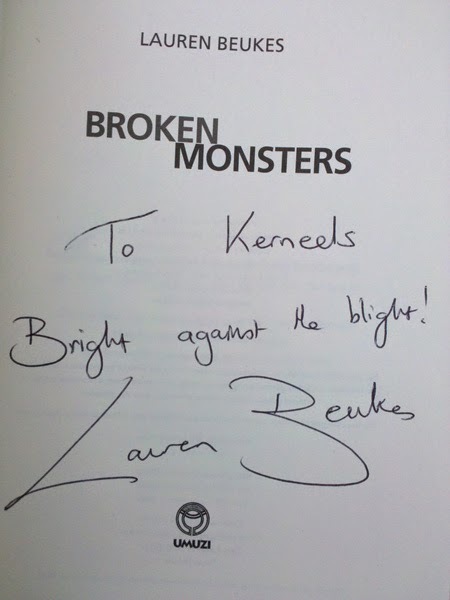 Way back in June I entered a competition to win a signed copy of Lauren Beukes' new novel Broken Monsters. To my huge surprise I won. The downside was that the book wasn't actually a physical object at that stage so I had to wait patiently for the release date in July to come around. And Broken Monsters is even more gorgeous than I expected. I loved the cover when I first saw the cover reveal, but images really doesn't do it justice. I can get lost just staring at the cover. There are so many small details hidden away; it's truly a feast for the eyes. But the best thing, the very best thing is that it's signed and personalised. She even spelled my name right! Since I'd never be able to make it to any of the launch events this just makes it extra special. 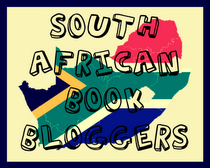 A huge thanks to everyone at Random House Struik who made this possible. I really appreciate it! So here’s a list compiled from vague recollections of those original insights. It should be just as good. Probably not. I can only read one book at a time. Some people can have three or four books on the go at the same time. I’m definitely not one of them. I prefer to immerse myself completely into each book I read. Jumping back and forth between books just doesn’t work for me. Even if the books are different genres they tend to bleed into each other resulting in an odd jumbled experience. When I’m reading I want silence. I can’t read with music or the TV blaring in the background. Give me a comfy chair, silent surroundings and I’m in heaven. I don’t lend my books. Ever. Having experienced the humiliation of a sister who not only returns her library books late, but who actually had to replace a book after destroying it in a liquid related catastrophe I can’t stand to lend my books to anyone. Even if you sign a contract in blood and pay a hefty deposit I’m not going to allow you to leave with any of my precious books. I’d be more than happy to point you to the cheapest retailer so you can get your own copy though. I can’t get rid of my books. My bookshelves are like a black hole once a book has passed the event horizon of my shelves they are there to stay. I like to revisit the books I’ve already read from time to time. They always have something new to offer; a new insight or just rediscovering the familiarity of beloved characters and worlds. The thought of having to cull my bookshelves fills me with dread. Luckily I haven’t been put in a position where it was necessary to do so. I pray I never will. I like to keep my books pristine. A wise old librarian once taught me that books are precious. You need to wash your hands before touching them, you don’t lick your fingers before turning pages (eww!) and most importantly you NEVER write in them and you NEVER EVER break their spines. Those lessons stuck and to this day I can’t bear to do any of those things. I try to keep my books as pristine as possible. Notes go in a separate notebook and even paperbacks are read with the utmost care so the spine doesn’t crease. This could be incorporated in the keeping books pristine thing, but whenever I travel with my books I wrap them securely in bubble wrap. Yes, that's right. Bubble wrap! And then just to be safe they go inside a padded envelope for that added protection. If it's cloudy with the slightest chance of rain the enveloped-bubble-wrapped-book also goes into a plastic bag before finally being put inside whatever bag I'm planning to carry. You can never be too careful! I grow far too attached to my bookmarks. I've used the same bookmark for years now. It's not even something special or fancy, just one of the bookmarks you get with Book Depository orders. For some reason I HAVE to use that specific bookmark. I've misplaced it a couple of times and had to keep searching till I found it, at 3AM in the morning after going through every book on my shelf. Got to catch them all. When I discover a new author I love I tend to buy every book they’ve ever written. I might not even get round to reading them till years later, but I have to own them immediately. 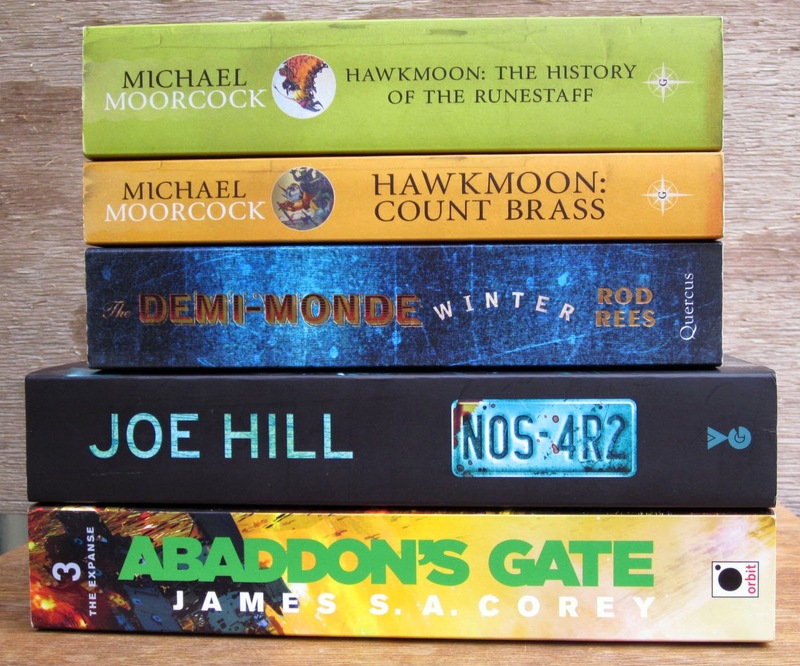 I love huge science fiction and fantasy tomes, those ones you need a forklift to carry around. Part of it might be due to the fact that I don’t want the fictional worlds I inhabit to come to an end too quickly. More pages mean that you get the chance to stay in that world just a little longer. It also gives a weird sense of getting your money’s worth. Given the choice between a 1000 page epic and a 250 page novel, I’ll take the 1000 pager every time. It does come with a downside though – they take much longer to read cutting down on your yearly total. Till the end do us part. I can’t abandon books. Even if I don’t particularly like the book I’m reading I have to finish it. This is something I’m working on, but it’s tough. Life’s too short for bad books, but what if the book I’m about to abandon suddenly gets good? I can live in hope. I own more books than I’ve read. Yes, my TBR-mountain is out of control. That’s a given. The real problem is that the books I own and have read are outnumbered by those still to be read by a factor of 4! That’s about 5 years’ worth of reading if I didn’t buy any new books at all. Whenever I read a fantasy novel I crave the food they eat during their travels. For some reason this normally tends to be something involving cheese and bread (and the occasional mushroom as delicacy). I love the book as object. 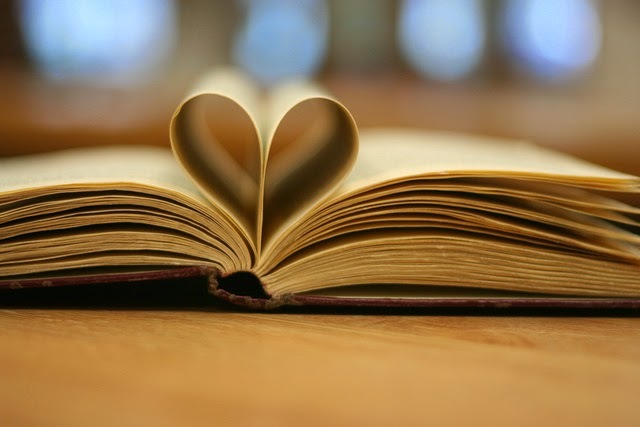 I love the physicality of books, the feel of it in your hands, how the paper glides beneath your figners and most importantly the smell of a brand new book. Nothing quite compares. I also like ebooks, but given the choice I'd much rather have a physical copy. I tend to pick up swearing/phrases from books and they stick. At times I even find myself using them in normal conversation. Luckily most people don't recognize the references. Mostly. Crivens! I’m sure I’m missing a few, so this list might grow in the future. What are some of your bookish quirks? Don't panic. I haven't regressed to my dark "buy it in bulk" days. The books featured below actually cover a period of 6 months. Yes, I'm that far behind. I blame Twitter for giving me a false sense of keeping up to date. Tweeting hasty phone snapshots after ripping packages open to reveal the glorious bookish treasures inside evidently does not a blog post make. So here are my new and not so new arrivals. Lady Luck has been very kind to me. I've managed to win quite a few bookish prizes. 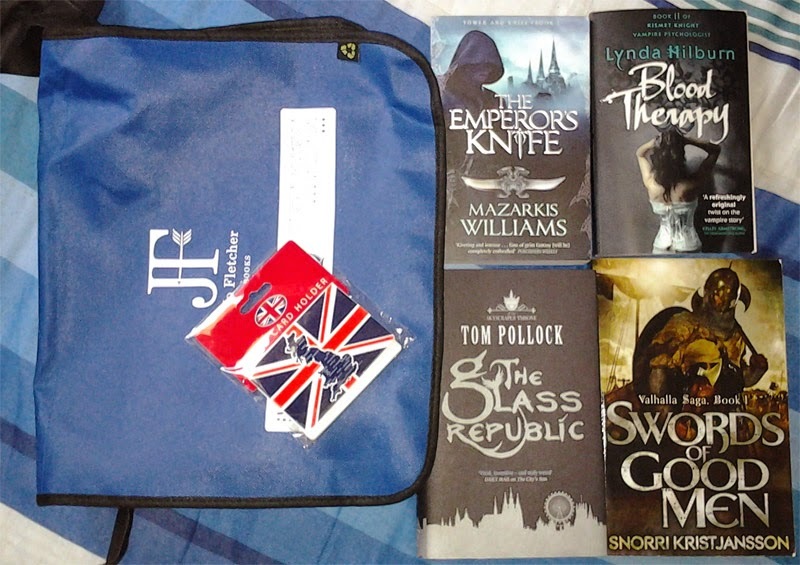 The first was this glorious book hamper from Jo Fletcher books. 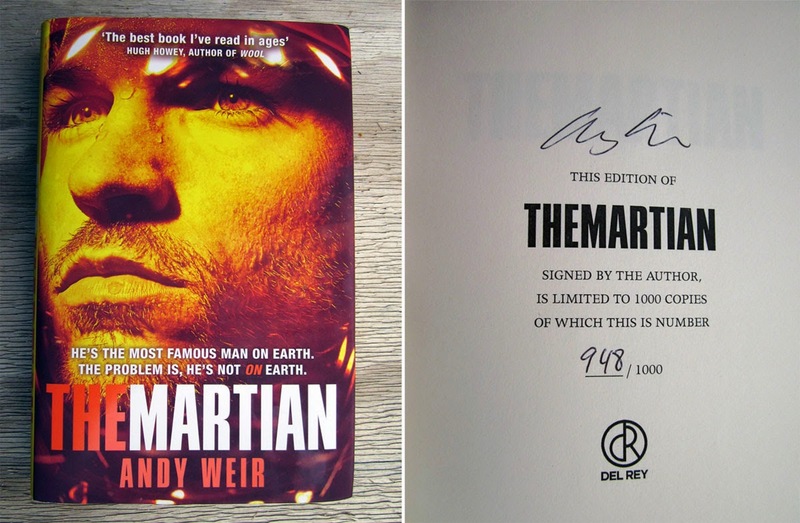 The second prize was this stunning limited edition hardcover of Andy Weir's The Martian from the folks at Random House Struik. It's a signed edition which makes it extra special. If you haven't read this yet, you should definitely check it out. I loved it! (Read the review). I managed to make a rare pilgrimage to the only bookstore within a thousand miles of me (actually about 280 kilometers or so, but a thousand miles sounds way more impressive). It was a very rushed expedition and the shop is a nightmare to browse. Their prices are excellent but they have these stacks and stacks of books crammed on top of each other. You can't even see the spines so you have to literally dig through the stacks to find anything worthwhile. I would have bought loads more books if I had had more time to search, but these lovely tomes came home with me. I already had NOS4R2 in ebook, but the physical copy had some extra illustrations and the cover was too creepy and gorgeous to refuse. I also picked up a physical copy of Abaddon's Gate. Now I'll have to try to find the rest of the series in paper too. The distressed look of the Moorcock novels caught my eye. I've been meaning to read some Moorcock even though I'm not sure if it's a good place to start with his work, we'll see. The Demi-Monde: Winter was a bit of a desperation buy. I had to get one more title to qualify for a discount and it was the only other SF title I could quickly find. The shiny cover was just a huge bonus. I have mixed feelings about online book sales. I love them for making books more affordable, but I hate that they result in me buying far more than I set out to. 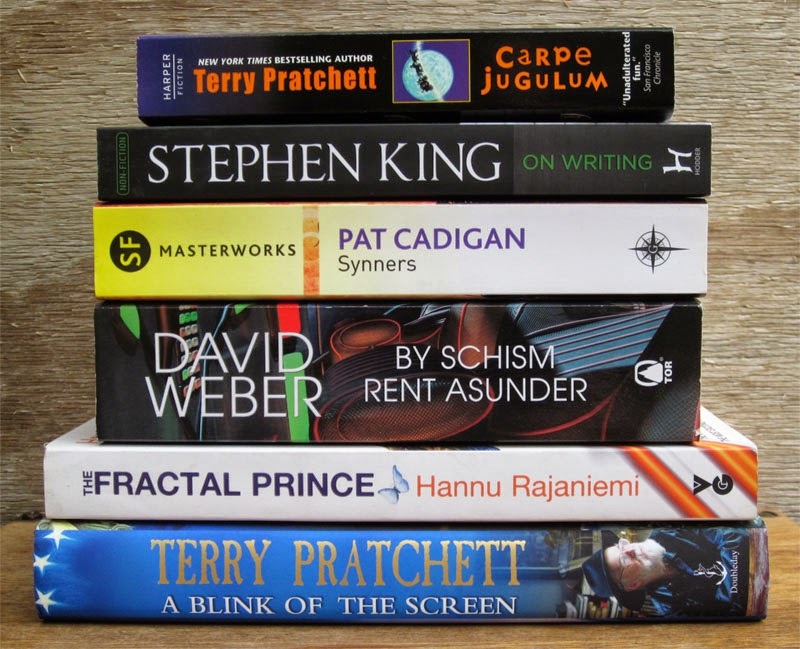 I really only wanted the Terry Pratchett hardcover, but since you had to buy 4 books to qualify for discount pricing I got all the other science fiction/fantasy books they had on offer. Of course, as luck would have it, most of those were later books in a series which means yet more books I'll have to track down. I'm quite chuffed about my first SF Masterworks title, but it might lead to yet another collection in the making. So it goes. I got Stephen King's On Writing at a later date. Hopefully it will help in crafting some better, more insightful reviews. 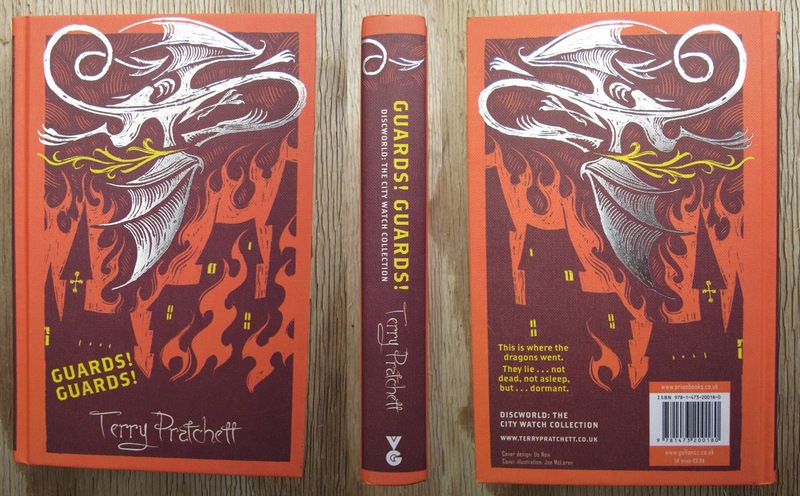 This absolutely stunning hardcover edition of Terry Pratchett's Guards! Guards! was a special treat. Ever since I first saw these Gollancz editions I wanted them. I just wish I could afford them all. With the horrible exchange rate they are extremely expensive over here. I might spoil myself with one or two more over Christmas. I'm slowly working my way through these and all the other review copies still awaiting their time to shine. Too many books, too little time.